Spend your summer earning a Gifted Education Certificate! The Gifted and Talented Advanced Certificate Program is good for all teachers, not just gifted education teachers. Learn to recognize and understand giftedness in all children—including culturally diverse, socio-economically disadvantaged, and/or English Language Learning students—to better serve them. In our program, teachers learn how to differentiate curriculum and instruction and how to use alternative assessments to measure students' progress. Participating teachers learn to work effectively with exceptionally capable learners and to take leadership roles in the field. With Dr. Elissa Brown, distinguished lecturer and director of the Hunter College Center for Gifted Studies, educators draw on the New-York Historical Society’s collections and curriculum library as they earn an advanced certificate in gifted education from Hunter College. The program satisfies the New York State requirements for coursework and field hours for the Gifted Certificate Extension. This extension also requires NYS teacher certification and a passing score on the NYS Gifted Content Specialty Test. Prospective students must be certified teachers currently working in a New York City Department of Education school. 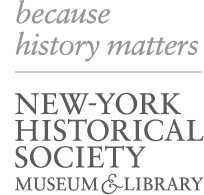 Accepted participants’ tuition is supported by the New-York Historical Society. Classes are held from June through August at Hunter College, the Campus Schools, and the New-York Historical Society. Applications for summer 2018 will be available from Hunter College beginning in January. For further information or to apply for this program, visit www.hunter.cuny.edu/gt-center.